It’s no secret that I LOVE soup. 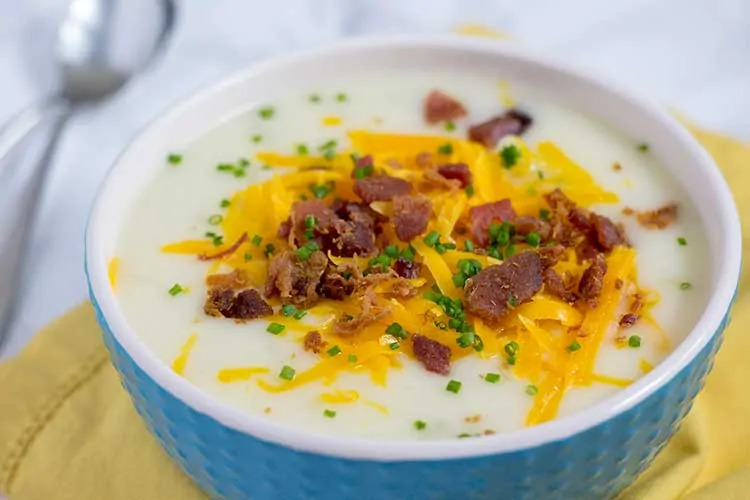 But what you might not know is that I really love potato soup! I mean, a loaded baked potato is one of the greatest inventions ever. So, when in soup form, it takes me to my happy place. 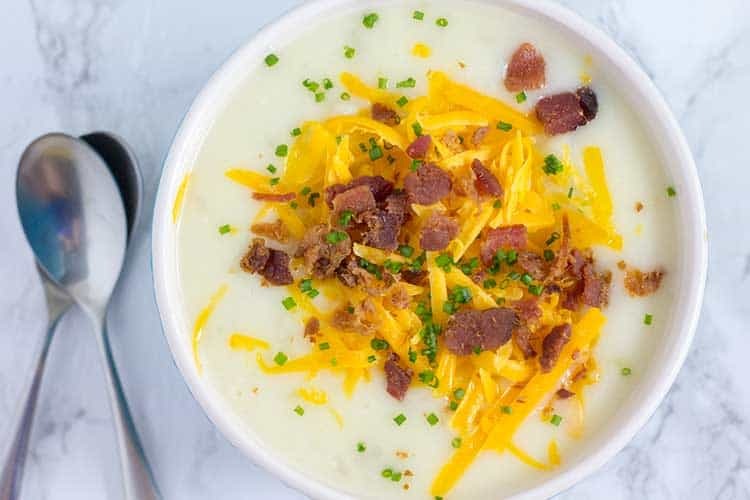 Well, this pressure cooker potato soup does just that, with an easy process that is pretty much foolproof. 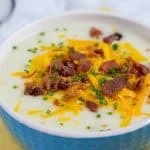 There are a few things that I’d say set this pressure cooker potato soup apart from most. 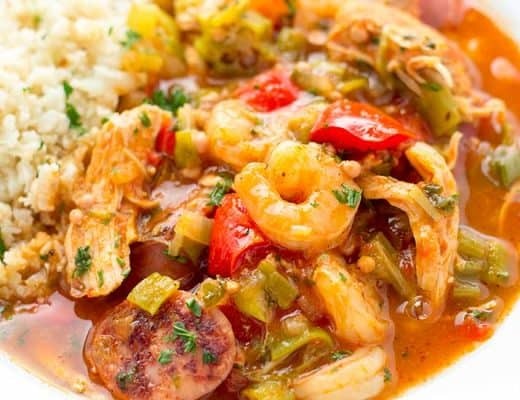 First and foremost… it’s gluten-free – which means my wife can actually eat it! That’s one of my biggest goals in life – creating delicious gluten-free recipes so that she can enjoy the food we all love. Secondly, this soup is very hearty and has a chowder-like texture with noticeable chunks of potato. I’m not the biggest fan of puréed potato soups. 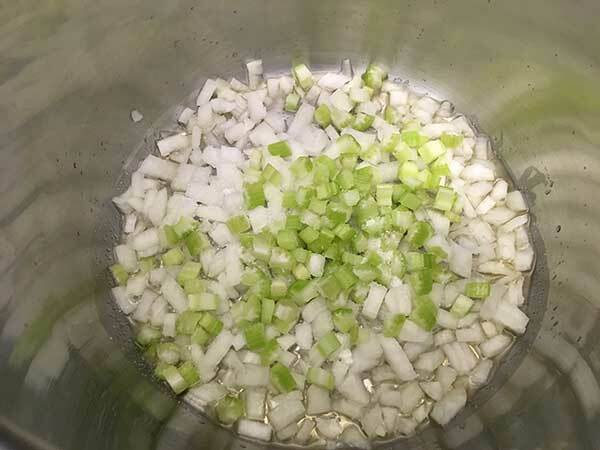 Using the sauté setting – Add 2 tablespoons of oil (preferably reserved bacon fat) to pot, along with onions, celery, and 1/2 teaspoon of salt. 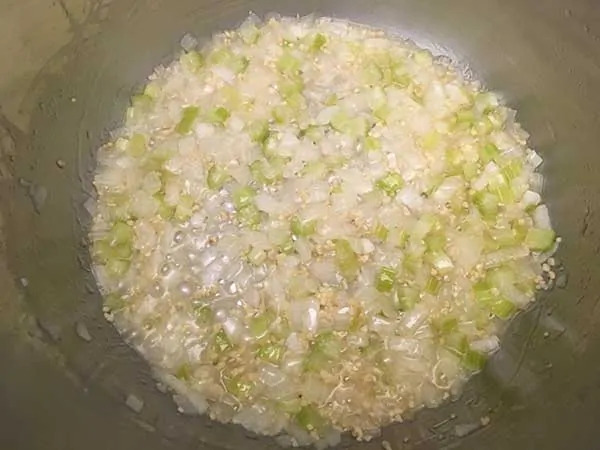 Cook for about 3 minutes, until onions are soft and translucent. …and cook for one minute more. 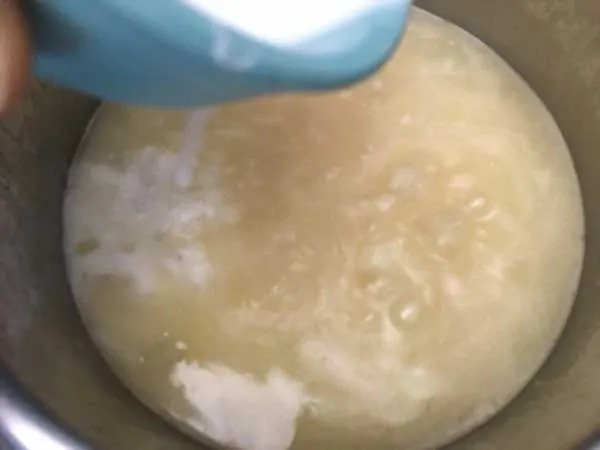 Add potatoes, chicken broth, and 2 teaspoons of salt – mix well. Lock lid and cook at high pressure for 7 minutes. Once cook time is complete, quick-release pressure. Switch back to sauté setting and pour in cornstarch slurry. 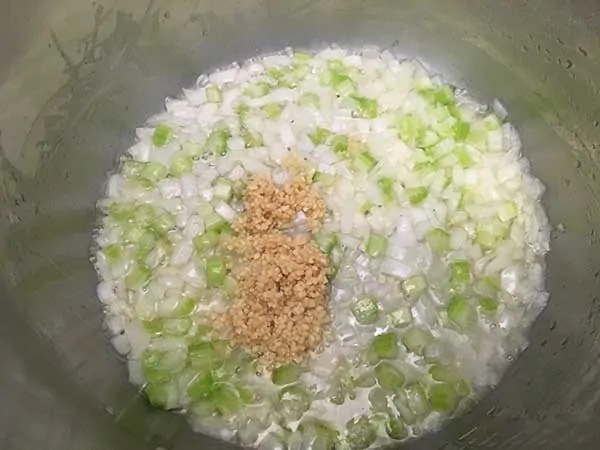 Mix well and continue stirring until desired consistency is reached. Then switch to warm setting. …and mix well one last time. Cook bacon until crispy in the method of your choice. If you've never tried it in the oven, I highly recommend that. Make sure you reserve the fat! Add garlic and cook for one minute more. Meanwhile... 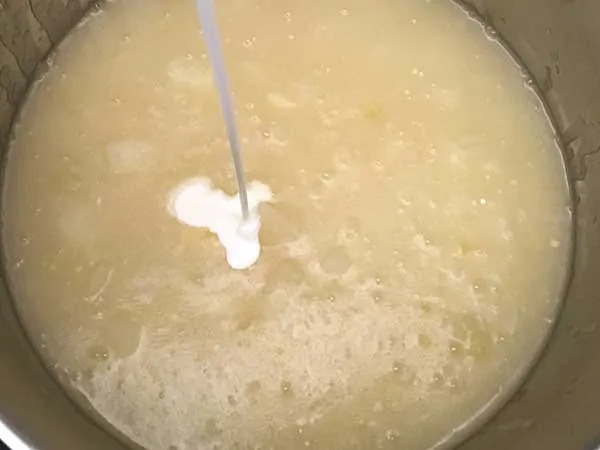 In a small bowl, combine cornstarch and water. Pour in cream and mix well one last time. 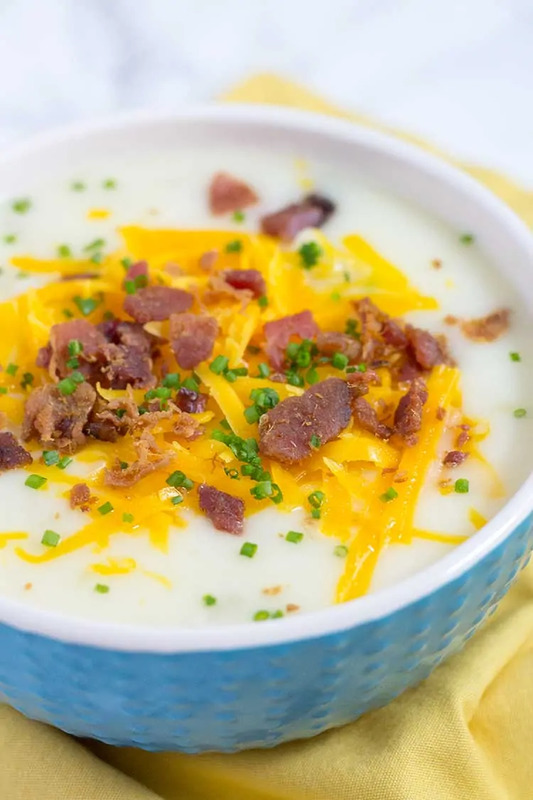 Serve topped with cheese, bacon, and green onions. This was amazing. 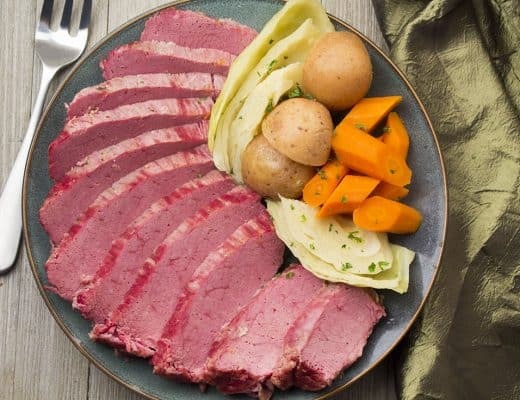 I’m new to instant pot and, admittedly, cooking in and of itself. 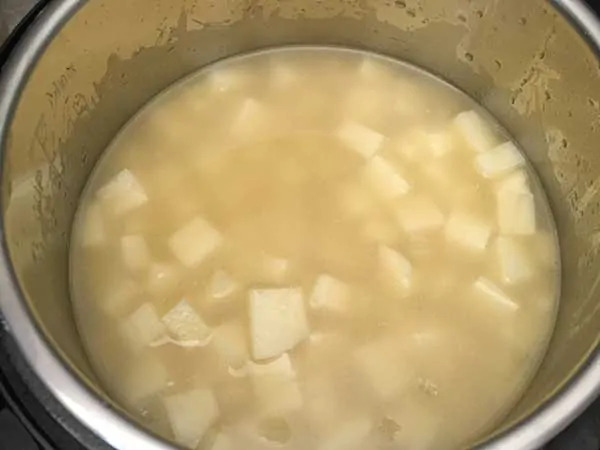 I just felt led to make a potato soup. 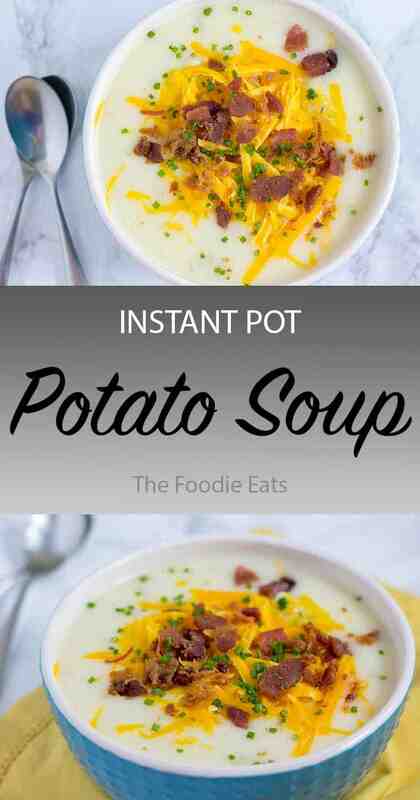 Not a “baked potato” or “twice baked potato” or “fully loaded baked potato” soup. 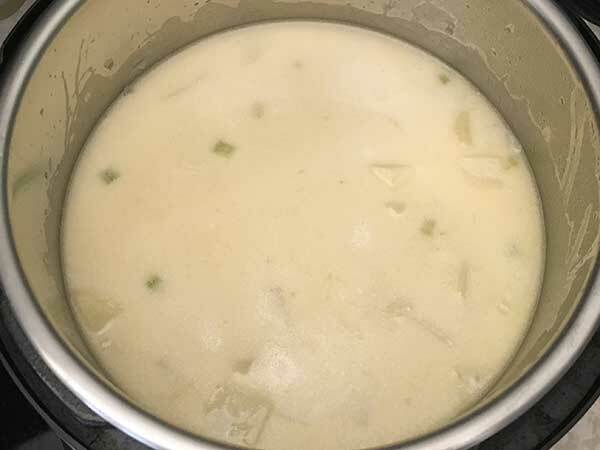 This recipe made something I hadn’t had for so long – the taste of my mother’s potato soup. I don’t claim to know how she made it sans pressure cooker, but this soup sat me right down at the kitchen table of my childhood and I’m super grateful. Thanks! Thanks Wanda! So glad to hear you enjoyed it. This was AWESOME. Followed directions exactly, except I used Yukon gold potatoes. Very good. Family enjoyed. Absolutely delicious! My family loved it! They said it was a keeper! Wow!!! Amazing. 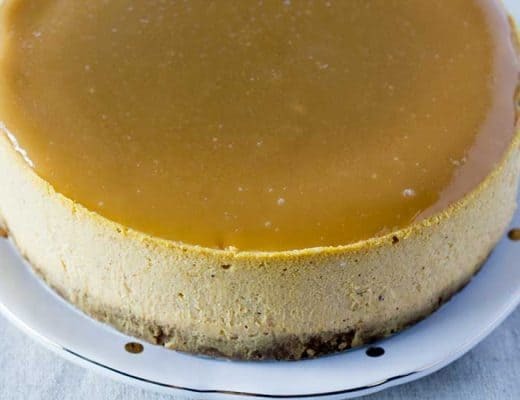 I like that it was not complicated and it didn’t have all the sour cream and cream cheese like the other recipes I found. I also cooked the bacon on sauté right in the instapot! Delicious! Thank you! So good. It was perfect for our snowy day in Las Vegas. I took my hand mixer to it after the potatoes cooked, because I was craving a bit more of a smooth soup. My toddler renamed it mashed potato soup and ate it all up. Thank you! This was very good but I did tweak it slightly. I mashed up the potatoes in the pot with a hand masher and then added the full pint of cream. I also added a couple handfuls of shredded cheddar, a teaspoon of cayenne and fresh ground black pepper.